New Delhi: There will be no common engineering entrance exam test for now till states reach a consensus in this matter. 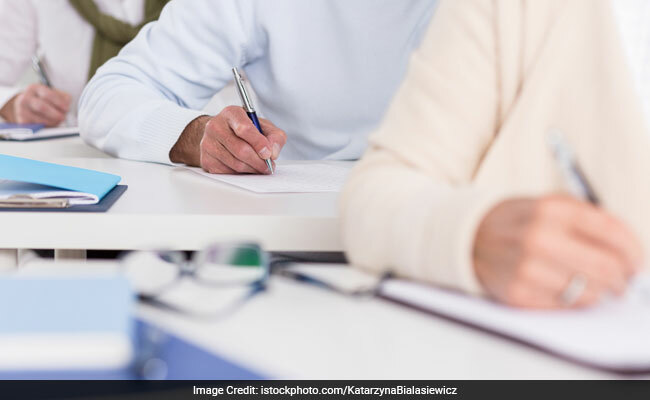 The Human Resource Development (HRD) Ministry has differed the move for single entrance test for engineering courses which was announced by All India Council of Technical Education (AICTE), the technical education regulator in the country on March this year. AICTE had announced a test in the lines of National Eligibility and Entrance Test (NEET), national level exam conducted for the admission in the medical courses. An official who did not wish to be named told news agency Press Trust of India that, it is important to have consensus on the introduction of a common exam, so the plan has been put on hold for now. After AICTE announced the move in March, West Bengal and Tamil Nadu governmentsexpressed concern against the proposed single entrance examination for all engineering institutions from 2018 academic session and they then demanded the centre to scrap the move. West Bengal Education Minister Partha Chatterjee sent a letter to the Union Human Resources Development Minister Prakash Javadekar opposing the Centre's move requested the Minister to reconsider the move. Mr. Chatterjee, then requested to dismiss the proposal. "The West Bengal Joint Entrance Examination Board - the nodal body conducting the JEE engineering tests in the state is an established agency set up by us. There have been no problems in conducting the engineering exams. Then why does the Centre want to discontinue this existing system?" the West Bengal minister asked in his letter. Apart from number of states organise their own engineering entrance exams, the Central Board of Secondary Education (CBSE) conducts the Joint Entrance Examination (JEE) Main for admission to engineering courses. Over 11 lakh students appear for the exam every year. Several private colleges across India also have their own entrance examinations. There are over 3,300 approved engineering colleges in the country affiliated to universities, with an annual enrolment of around 16 lakh students.